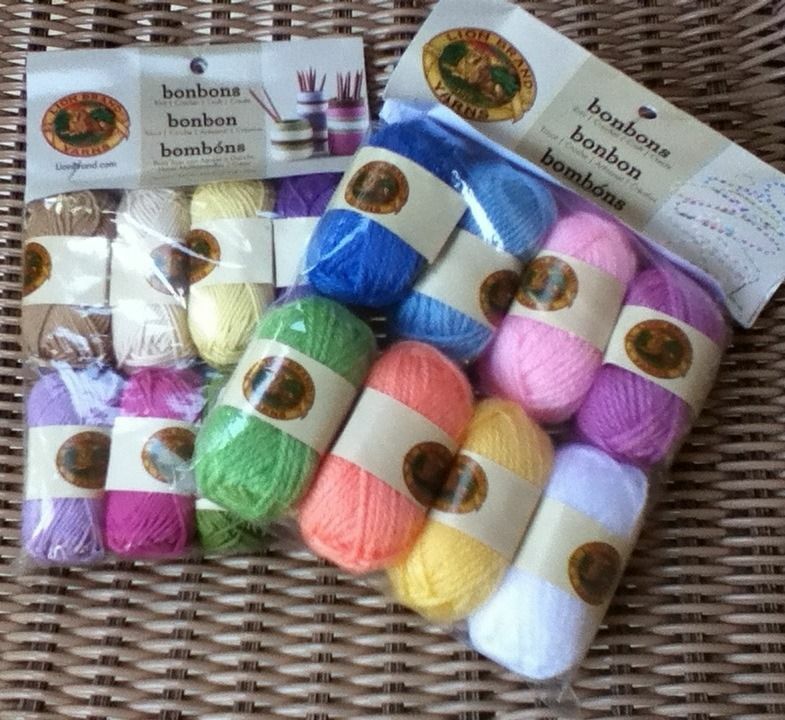 Art, Like Bread: #Yarn Candy: Lion Brand Bonbons! 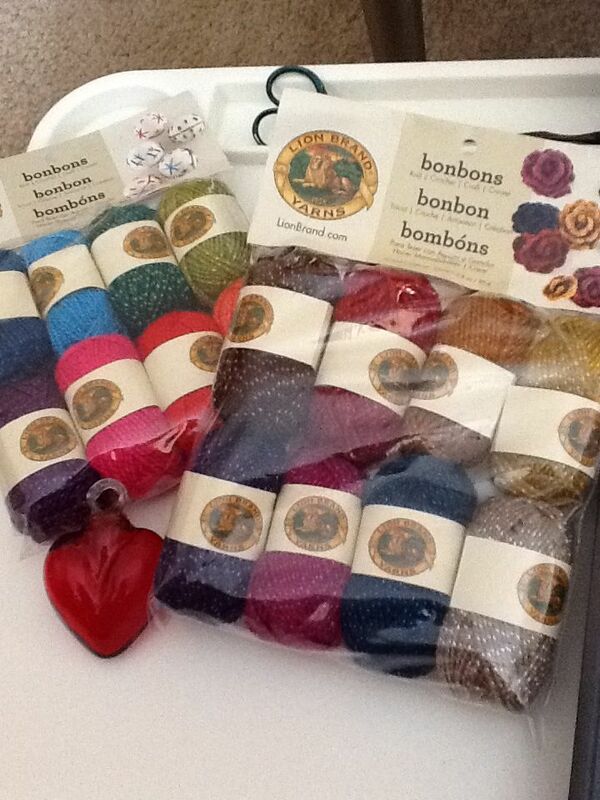 #Yarn Candy: Lion Brand Bonbons! Last month I was asked by Lion Brand to do a review of their new product, Bonbons, or as I like to call it, crochet cuties. The idea was that I would receive a package of their new product in each colorway, and fill out a survey about my thoughts on the product. I completed that piece over a month ago, and my excitement for Bonbons has not died down. I knew I had to blog about this! I was not asked to blog about the product. I asked permission to blog about this experience because I am truly excited about it! It's always exciting when new products come out, but not all of them are this interesting. These little balls of thin yarn come in coordinating packs of 8. There are six different color assortments! At first I was thinking that maybe LB was trying to tap into the hexipuff craze (google it), but then I realized that there are many uses for this product. The best one for me for this time of year is making jewelry! I loved these Lotus Earrings in Crochet Today, which call for small amounts of crochet thread. Bonbons are perfect for that, and you don't have to buy a lot of yardage if you want to experiment with different colors. These are also fun for kids' crafts, like making God's Eyes and friendship bracelets. As soon as I get my craft book collection back, I will be trying my hand at macramé. I feel it should enjoy a renaissance, don't you? These yarns would be great for beadwork with knitting, crochet, tatting, or macramé. Another thing I love to do is just crochet random motifs out of a book, like The Granny Square Book or Beyond the Square Crochet Motifs. These little cuties will be perfect for that. Since they're small, and the hooks are small, it's a great little yarn to take along in even your tiniest purse. I made several projects with my Bonbons. Here's a just one. 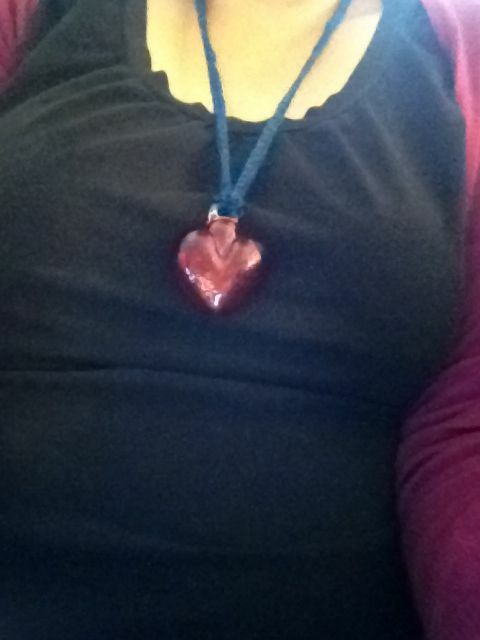 It's a sparkly necklace for my pretty heart pendant.